Dogpatch Labs might sound familiar if you’ve been keeping your eye on startup accelerators and coworking spaces in the past few years, but while the name remains the same, the organization behind it has changed. Dogpatch began life as a product of Polaris Ventures, somewhere for its portfolio companies and startups it was interested in to bed down and build their products. But as of February this year, it’s a different beast. Polaris sold the name and brand to a young Irish entrepreneur called Patrick Walsh, and the space relocated to the CHQ building, a struggling shopping mall on the banks of the Liffey. Take that at face value and it doesn’t sound the appealing. Despite a smattering of nice cafes and restaurants, the new Dogpatch sits at the far end of a fairly bleak promenade of mostly empty store fronts. But the building has secret charms. Most significant among them are the cellars. Walsh has used his not inconsiderable charm to negotiate a partnership with Ulster Bank to transform them into a 8,000 sq ft events and work space. The 200-year old cellars beneath Dogpatch Labs as they are now. Quite frankly, I’m as skeptical as hell about banks and their experiments with fintech accelerators and ‘innovation’ schemes, but Ulster Bank’s backing for Dogpatch is ultimately a good thing. 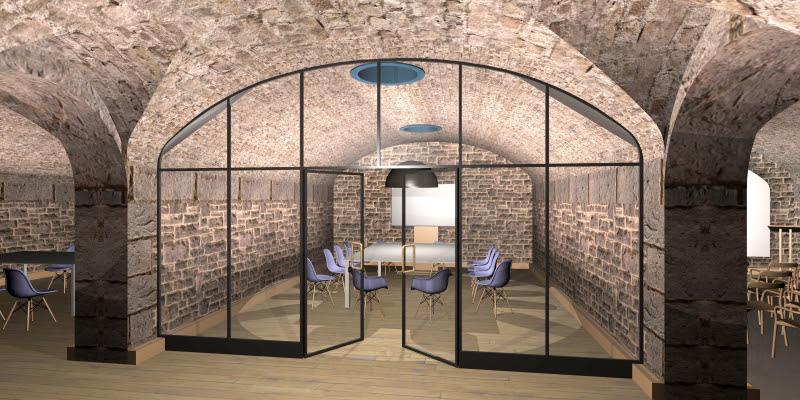 The huge events space (I’ve actually wandered around in the cavernous cellar) will provide a much needed new venue for workshops and demonstrations in Dublin, as well as a home for developer groups and startup meet-ups. Full disclosure: I have access to a desk at Dogpatch in return for acting as an unpaid ‘journalist in residence’ offering advice to some of the resident companies on working with the media. Dogpatch had no input on this piece.